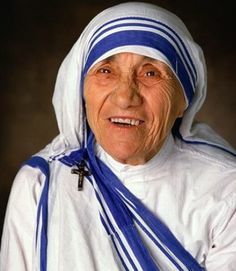 Mother Teresa is an intense woman who sacrificed her life spreading and cultivating the love and inspiring the people to live with an attitude of ground faith and respect. Teresa became the mother of all the poor and homeless children providing them the light of educations and basic requirements. While trying to help the poor and helpless children and spreading the love and faith she herself almost went through the depression due to lack of resource and supplies and experienced many problems and suffering and loneliness had to spend a lot of time to return to the comfort zone. She established a missionary charity to the people who were hungry, the naked, homeless, crippled. blind, the lepers, and all those people who feel unwanted, unloved, uncared by anyone and throughout the society, people and that had become the burden to the society and rejected by everyone. Her missionary charity became able to provide the medication, basic needs, shelter, foods and provide the educations. That became the home of homeless children later on those days. There are many things that we can take the lesson from her life. Below are the few important and most inspiring statement that really touches in everyday life. How it matters in life to have the feeling of unwanted, uncared, unloved and rejection from the people and society of this world. Everyone care oneself, but we have to be the one and spread the love and happiness everywhere to the people of those who are rejected and uncared. This is a great humanity to care the people in need and to bring a smile to the face of people suffering from the rejection and unloved. The mountain is made by piling every piece of some substance. Have a faith in tiny or little things. If you have strength and willingness even a small thing matters the most. We can make a sea adding the every single drop of our effort. Having a faith in a big dream is important but we should have a faith in our tiny effort and should believe yourself. And we will realize our tiny effort will have a great strength and impact in our life. Only the faithful is successful. Regardless of your hard work and lots of effort, you won’t be successful unless and until you will have a faith on yourself. Wealth, fame, name, house clothes and peak building are not only the evidence of success but the victory should come from your thought and mind. It should embrace the globe of yourself. Success doesn’t trail your road and make you who you are but the faith of height and despite your life in low.